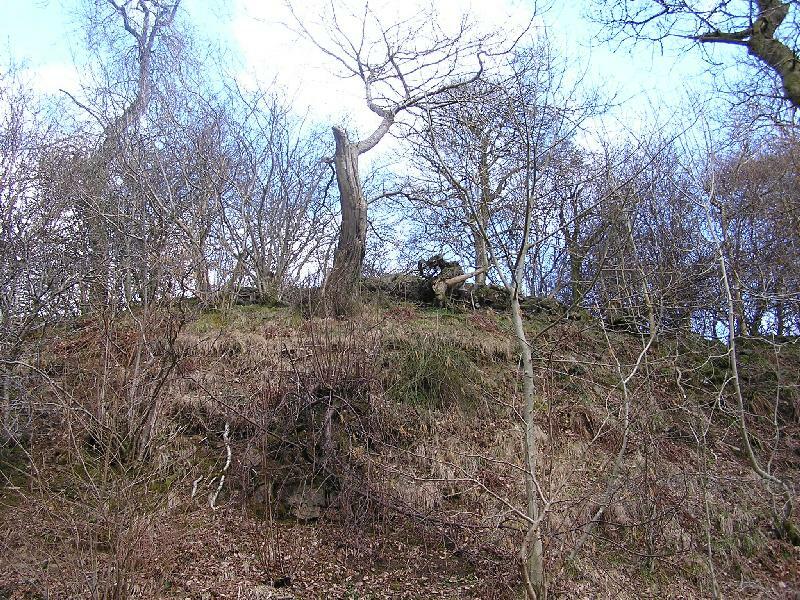 This castle, taking its name from the red sandstone of which it is built, lies on a promontory about 9m high between the Afon Llia and Afon Dringarth in a remote position on the south side of the Brecon Beacons. The only historical reference to it is in 1239 when it was held by William de Braose. 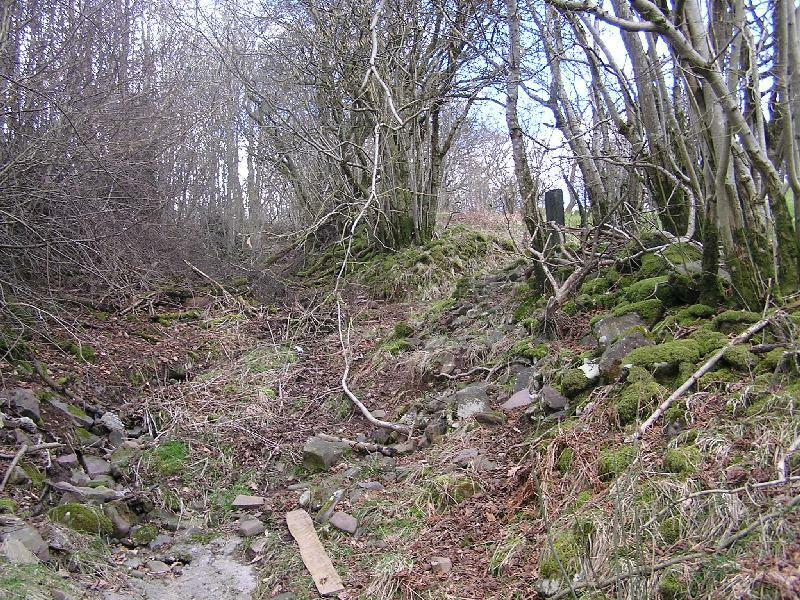 The southern end of the promontory has beneath a tangle of vegetation the last vestiges of a wall about 1.5m thick around a pentangular court about 27m wide. Adjoining the west wall and occupying much of the rectangular northern part of the court is a keep about 16m long by 12m wide. At the NE corner are signs of a recessed gateway. The southern part of the court tapers to an acute angle which was occupied by a round tower about 13m in internal diameter, large enough to form a second keep. 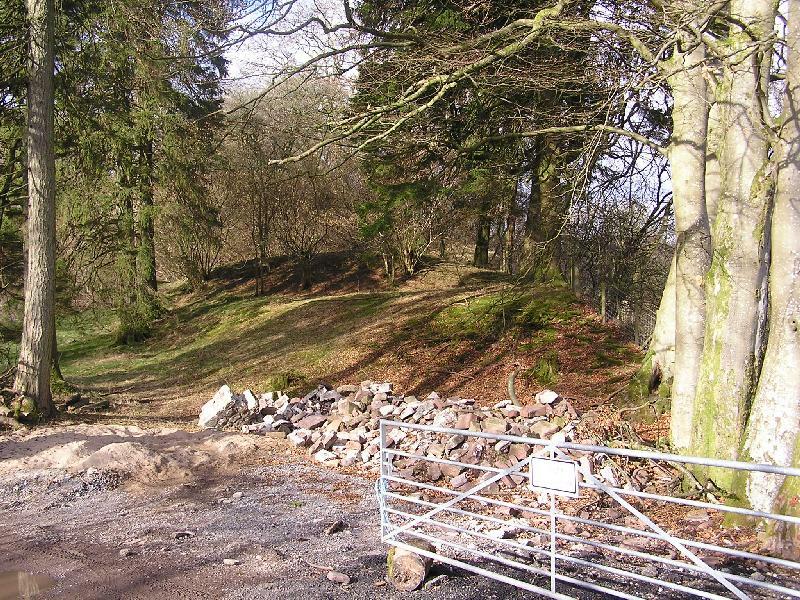 The layout and poor quality of masonry suggest it may date from the 1260s when Llywelyn ap Gruffydd controlled this area. 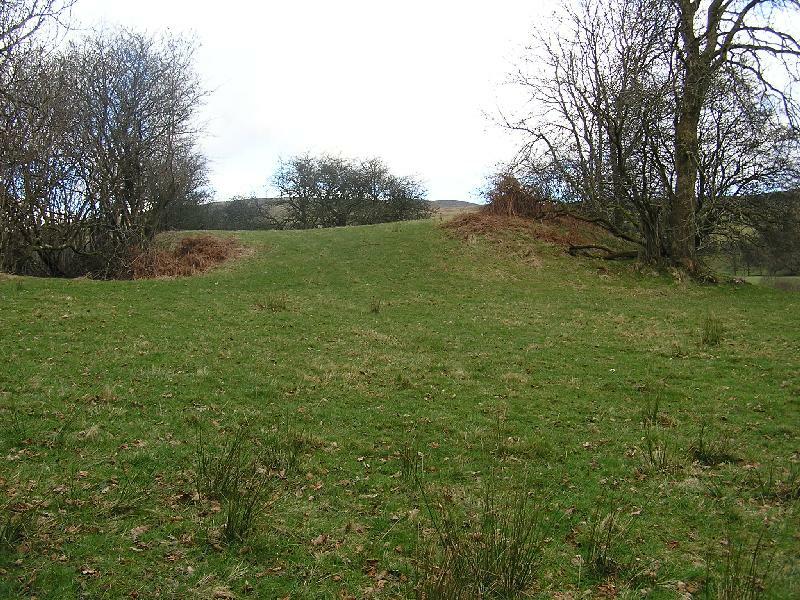 North of the court is a bailey 60m wide, protected on the north side by a high rampart with a ditch in front of it, half of which is water filled.